New research by Ernst & Young indicates that a growing number of businessmen in Russia are willing to invest in the markets of Brazil, India and China. Experts say the statistics highlight both a return to confidence among Russian investors and a search for new ways of increasing returns. New research suggests that Russian investors are reorienting themselves to the markets of the BRICS countries (Brazil, Russia, India, China, South Africa). According to studies conducted by Ernst & Young, during the next 12 months, 73 percent of Russian entrepreneurs are planning to invest in the BRICS countries and only 6 percent in the developed markets. Forty percent of those polled declared themselves willing to invest in China, followed by India and Brazil. In the coming years, China will become a primary focus for Russian investments in foreign markets, as reported in the Ernst & Young study “Capital Confidence Barometer: A little sunlight in cold water”. According to the document, 40 percent of the companies named China their top priority. Following China are the markets of Brazil and India. 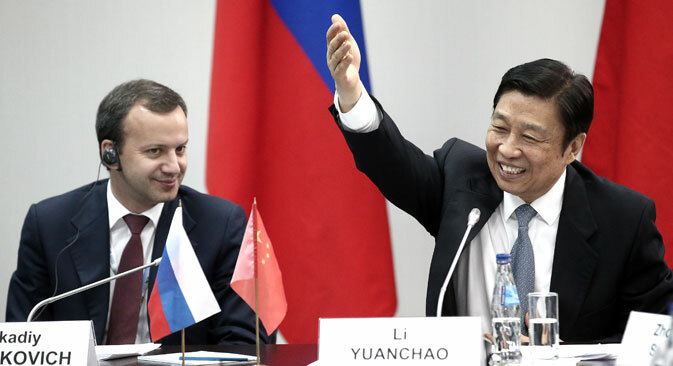 These changes in preferences are associated with an improvement in bilateral relations between Russia and China, which comes amid the conclusion of a number of major transactions, according to the document’s authors. Last week, Gazprom signed a historic agreement on gas deliveries to China, and businessman Gennady Timchenko, who found his name on the U.S. sanctions list, bought a water source in China and does not exclude the possibility of creating a company for selling it there. In turn, India's largest online store Flipkart has already attracted an investment of $210 million from the investment community, whose lead investor was the DST Global fund, owned by the ​​Russian billionaire Yury Milner. “This is not today’s economic situation. Our trade with China during the past 20 years, not taking the crisis period into account, has been growing by 30-40 percent per year. Yes, with a wave of sanctions from the West it seems that China is an alternative, but it's more like an information hype,” Sergei Sanakoyev, executive secretary of the Russian-Chinese Chamber, explained to the RBC-Daily newspaper. Investments in India are also explained by market factors. According to the information provided by Macquarie Research, since 2009, the Indian e-commerce market has showed an annual growth of 30 percent, and by the year 2015 year, its sales will reach $18 billion. Another important result of the study is what it says about the general attitude of Russian investors. According to the results, 64 percent of respondents from Russia are optimistic about the outlook for the global economy. While 41 percent of respondents noted an increase in political instability in the world, 27 percent of respondents talk about a further slowdown in key emerging markets. However, 53 percent of those polled are confident in the stability of the global market in the short term, while 65 percent believe that corporate earnings will increase in the near future. For example, 76 percent of respondents believe that loans will become more accessible, and the same number expect that their companies’ revenues will be higher this year than a year ago. Using a pragmatic approach promotes such confidence when planning future business development. Sixty percent of respondents consider their priorities to be reducing costs, increasing operational efficiency and maintaining business at current levels, while another 36 percent expect an increase in business in the near future. One of the key indicators of the investment climate in the country is considered to be the Doing Business ranking, which is compiled each year by the World Bank. In 2014 the ranking recognized Russia as one of the states that are most actively following the path of reforms. Of particular note is Russia’s rise by 20 places in the ranking – it is now listed 92nd in the new international Doing Business 2014 table. Moreover, for the first time Russia is among the top 100 in the ranking for business conditions, beating three other BRIC countries – China (96th) , Brazil (116th) and India (134th) . Based on material published at Kommersant, RBC daily.